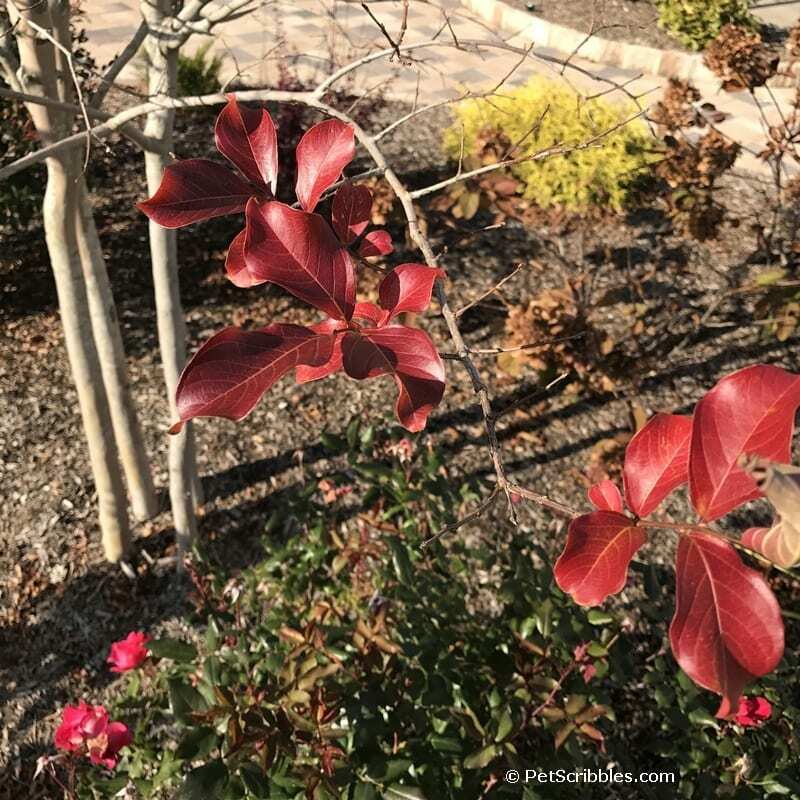 Here we are just a day before Thanksgiving, and I’ve yet to show you the brilliant Fall color in our front yard gardens, so I went out the other day and took these photos for you! 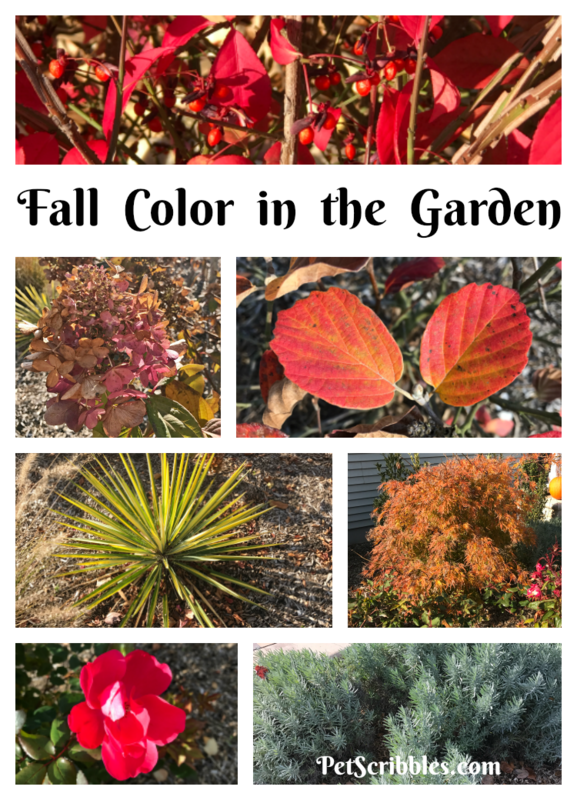 Note: I originally intended to simply post some of my Fall garden pictures, but once I got going I turned this into a much-more in-depth article about brilliant Fall color in the garden. 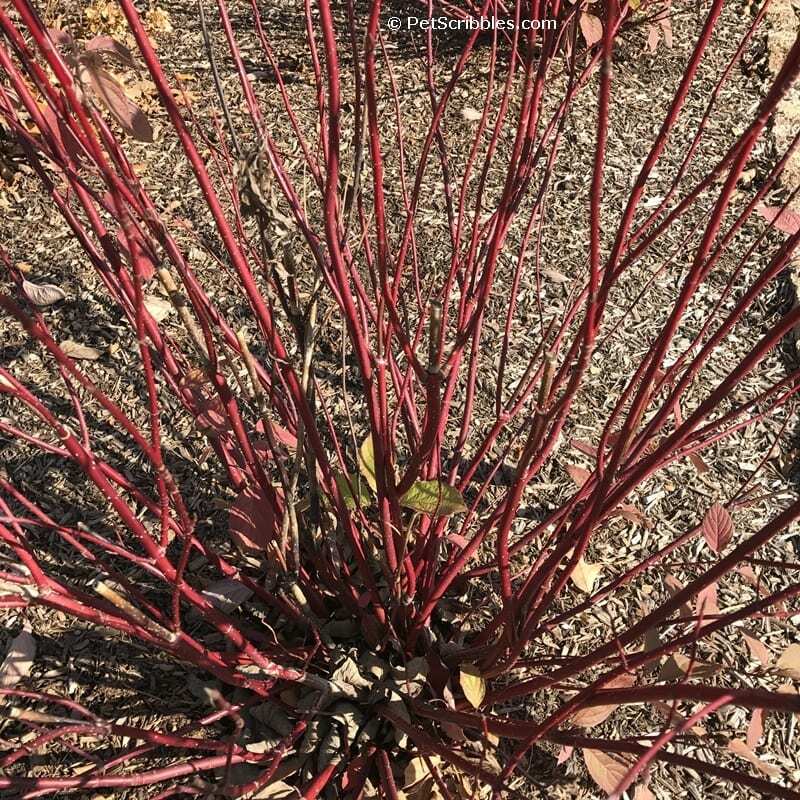 It’s mid-November here in southern New Jersey — USDA gardening zone 7 — and I’m so in love with all of the gorgeous color we still have. On each side of our front entrance we have two ornamental-sized Japanese Maple trees. These are a striking green-with-coral-stems in the Summer, but I always think the real show is in the Fall! 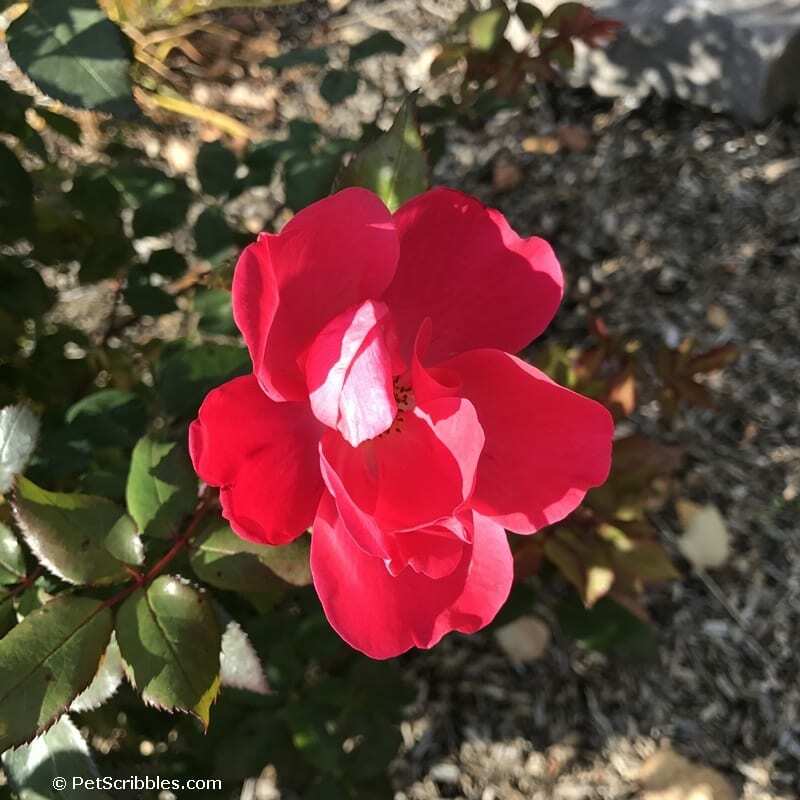 Our Knockout Roses are still blooming! We are so lucky! These roses get all sad-looking in the heat of August every year, but once it cools down a bit they really put on a second show! 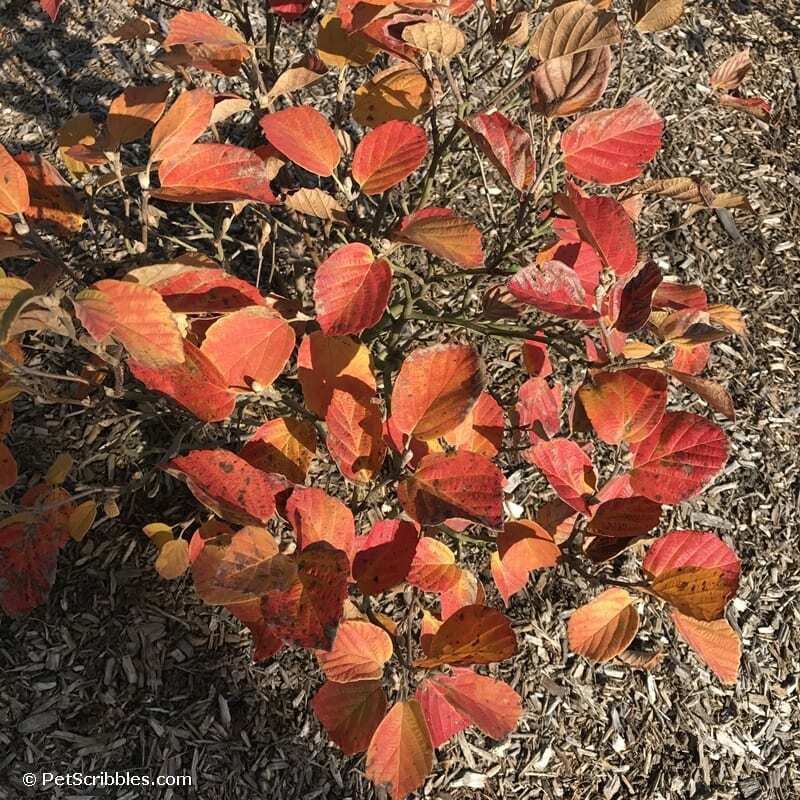 When we planned our gardens out, I knew I wanted Fothergilla. 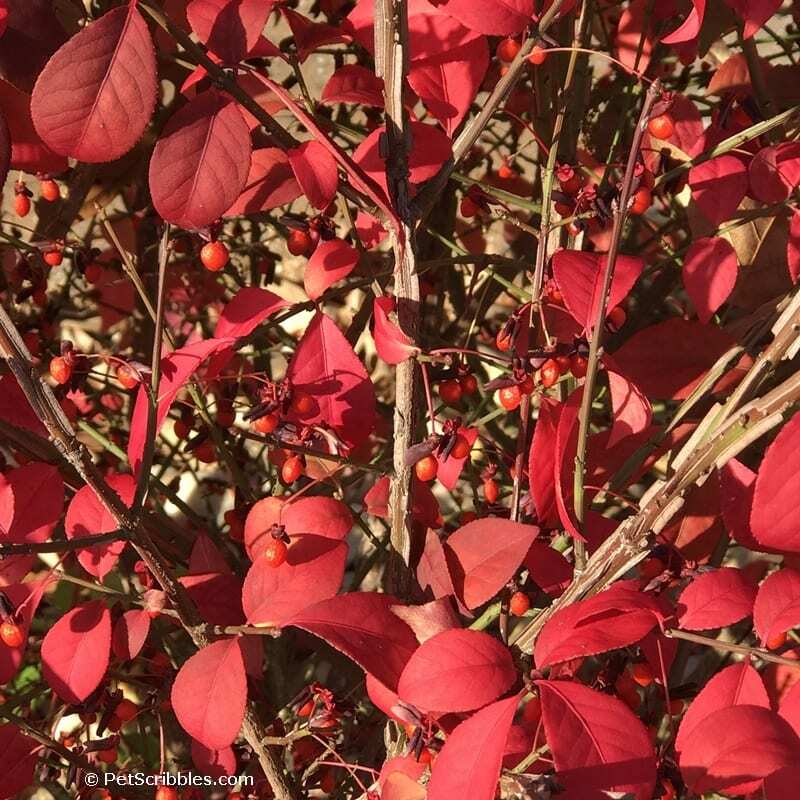 I’ll be sharing more about this amazing shrub during the Winter months, when we’re all dreaming of what to plant in the coming year. 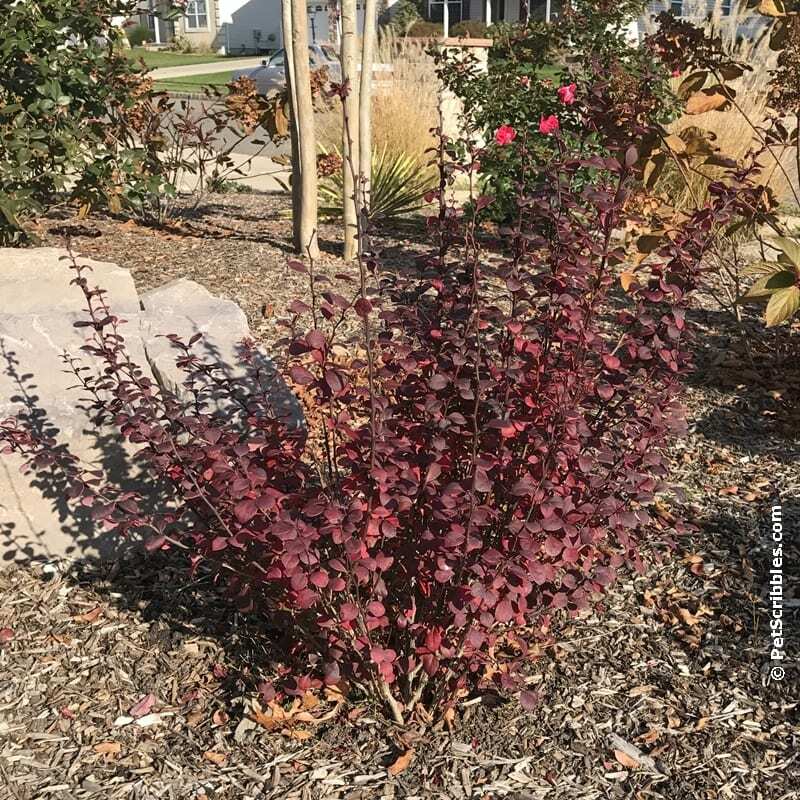 For now, just know that it’s a three-season plant that has three completely different looks in Spring, Summer and Fall! Next to the Fothergilla is a row of Red Twig Dogwoods. Their Fall leaves provide a more muted show of color before dropping to expose the stunning red twigs. 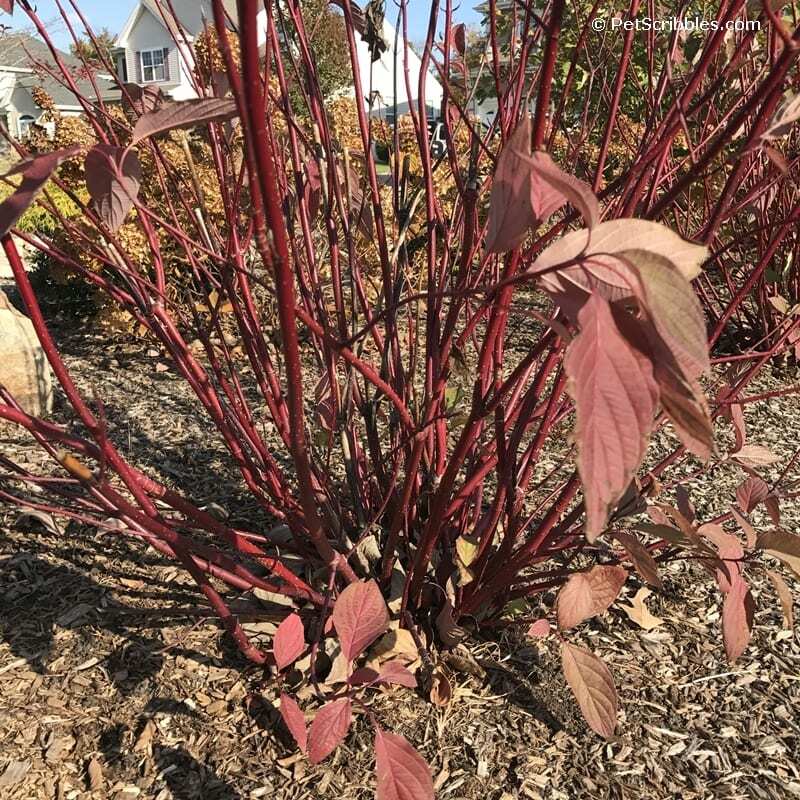 I wrote about our Red Twig Dogwoods here, so click over to learn more about this four-season plant! I don’t quite know what to make of this plant, but I am in total love with it! 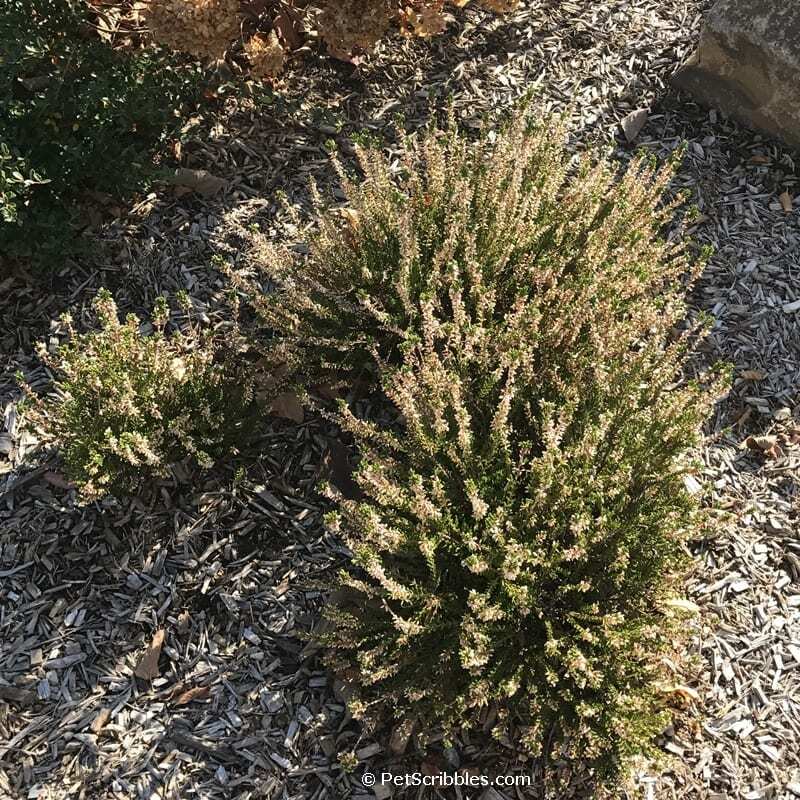 We have purple Heather in our backyard gardens, and it’s a reliable evergreen plant, blooming in the Spring. This white Heather, however, puts on a show for me year-round! It bloomed its heart out all Spring and Summer, and even now with the tiny dried flowers, it looks so pretty. I love that you can see the evergreen underneath too. Everyone buys Limelight Hydrangeas for their non-stop Summer blooms, but I also love the way the flower heads look in the Fall. Many gardeners have written how to properly dry hydrangeas to use in home decor, but I do it the simplest way possible: I let them dry naturally on the shrubs! Easy-peasy! 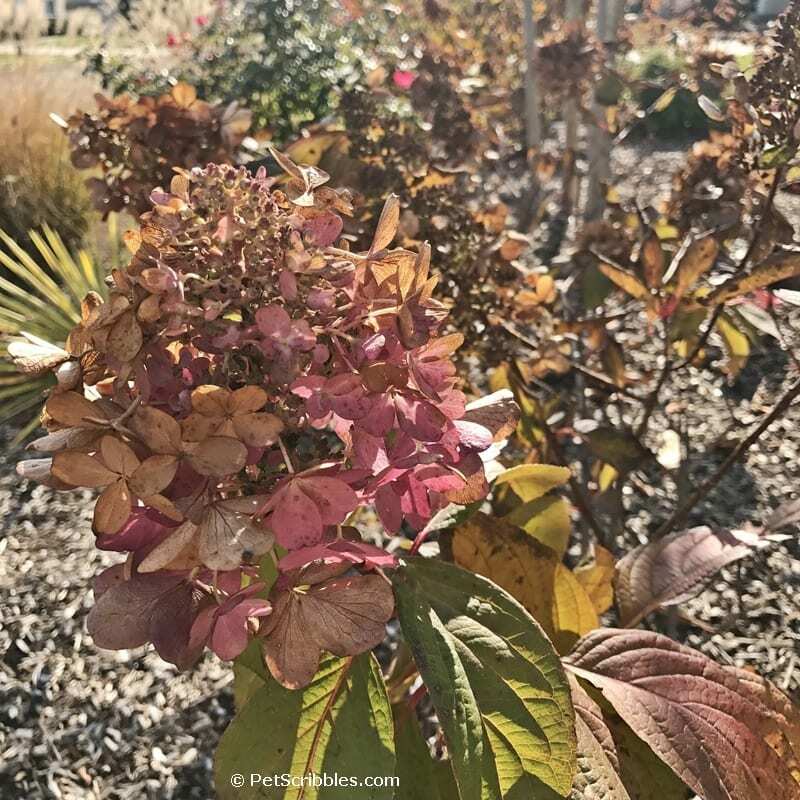 Limelight Hydrangea flowers turn a beautiful pinkish-rose at the end of the Summer into Fall before drying. This little pink guy (above, center) was a late bloomer from a stretch of warm weather we had. Yuccas are my husband’s favorite plant, especially when we get the tall stalks of white blooms in June each year. I love how the green and yellow of this particular variety (Color Guard) shines among the other colors in the garden. The spiky leaves are a perfect contrast to the fluffy seed heads of ornamental grasses (left edge of photo). I wasn’t initially too fond of the Gold Mop Cypress plants until I saw how they glowed in the Winter. 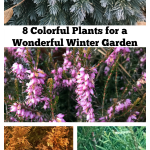 Now I love them for the dependable color they provide: gold color in Winter turning to bright green in Spring, turning to green and gold in Summer and then into Fall. 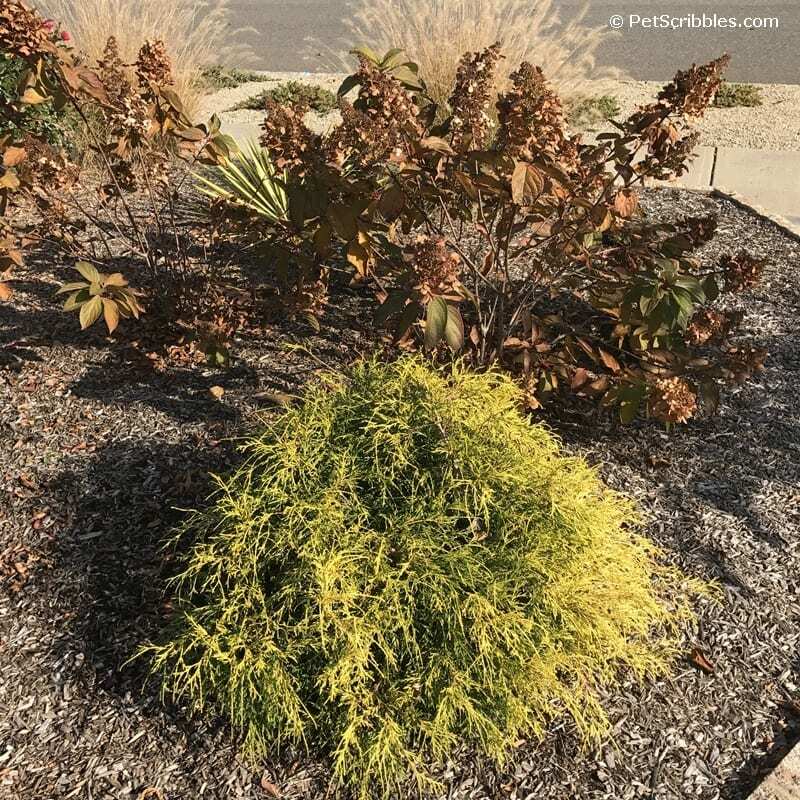 I like how the shape of this Gold Mop Cypress seems to imitate the dried Pinky Winky Hydrangea shrub behind it, while also contrasting nicely color-wise with the tans and browns of the dried Hydrangea. We have a Muskogee Crepe Myrtle as the centerpiece tree in our main front garden bed. 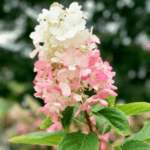 Although Crape Myrtles are common in Southern states, they are prized up in our area which is just about the northern-most gardening zone to grow them successfully. This particular hybrid has stunning reddish gold leaf color in the early Fall before turning mainly red. (This particular hybrid has Lavendar-colored flowers in the Summer.) 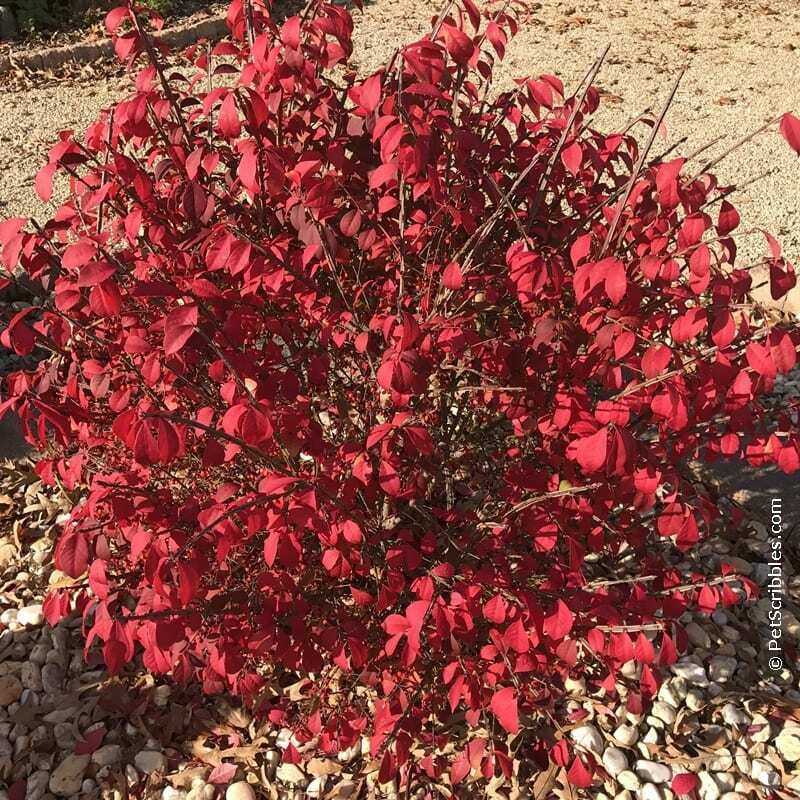 Almost all Crape Myrtle varieties have stunning Fall color and gorgeous peeling bark on their trunks for Winter interest! I’m still not sure about this being our centerpiece tree. The first two years it was kind of scraggly but had flowers. This year, the tree looked lush and full but no flowers. I was happy to see it finally healthy and established, but I definitely had “bloom envy” at some of the neighborhood Crape Myrtles in full bloom! 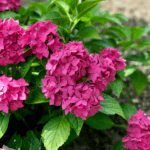 I’ve become a huge fan of Pinky Winky Hydrangeas, even with the silly name! The flowers are a strawberry pink-changing-to-white early in the Season. At the beginning of the Fall season, they develop a wonderful deep rose color. Here’s what they looked like in October this year . . . Yes, they are mostly tan and brown flowers now, but we still have a few holdouts of color. This fading pink flower (below) is the same white flower shown above! 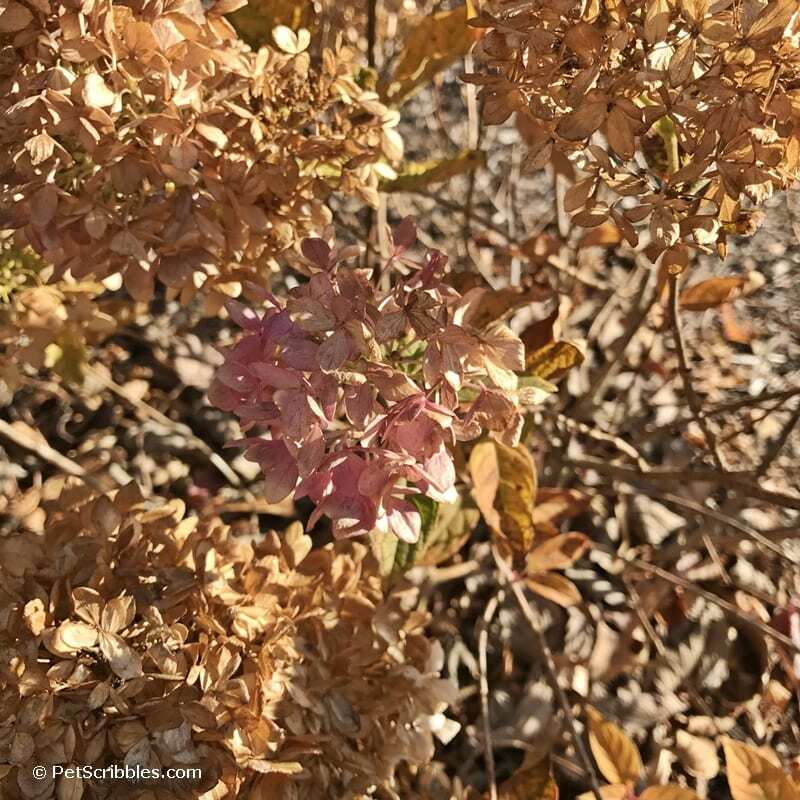 I love the sculptural look of Pinky Winky Hydrangeas in the Fall, and leave the flowers on them for Winter interest. 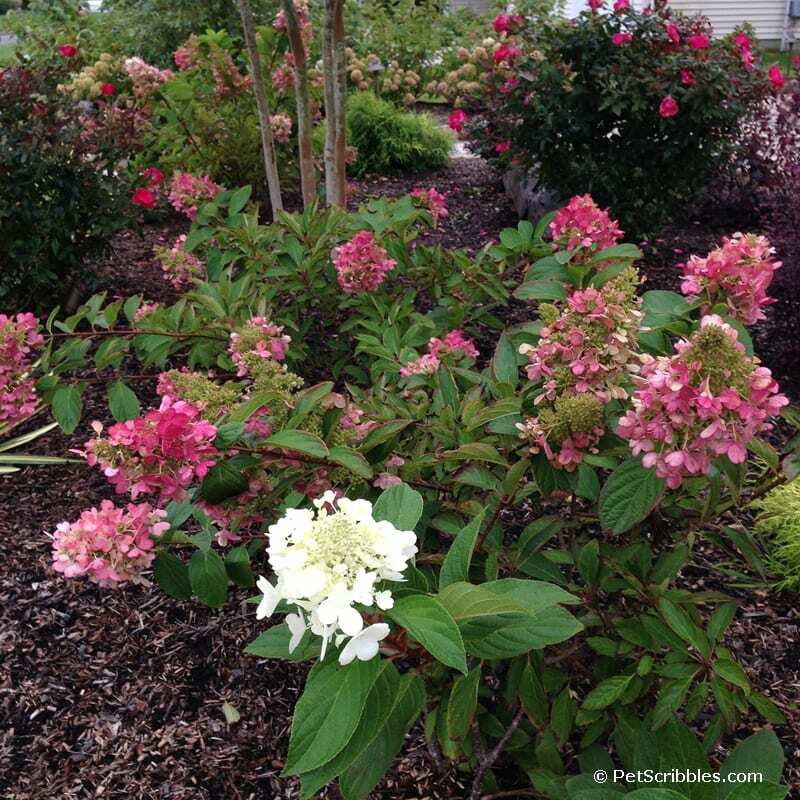 You can read how I prune Pinky Winky Hydrangeas here. These miniature ornamental grasses are almost too cute. We planted these this year, and so far I like how they look in the Fall. Because they are small, I plan to leave the seed heads on them for Winter interest. 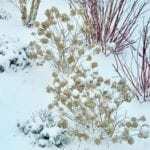 You can see how the Bunny Grasses contrast with our Knock-out Roses in Part One of this article. I’m leaving these ornamental grasses “up” until after Thanksgiving. I always prune them way down to the ground before we put up our Christmas decorations outside. If I wait much longer than that, the grasses begin to come apart and blow all over the place into neighboring yards. 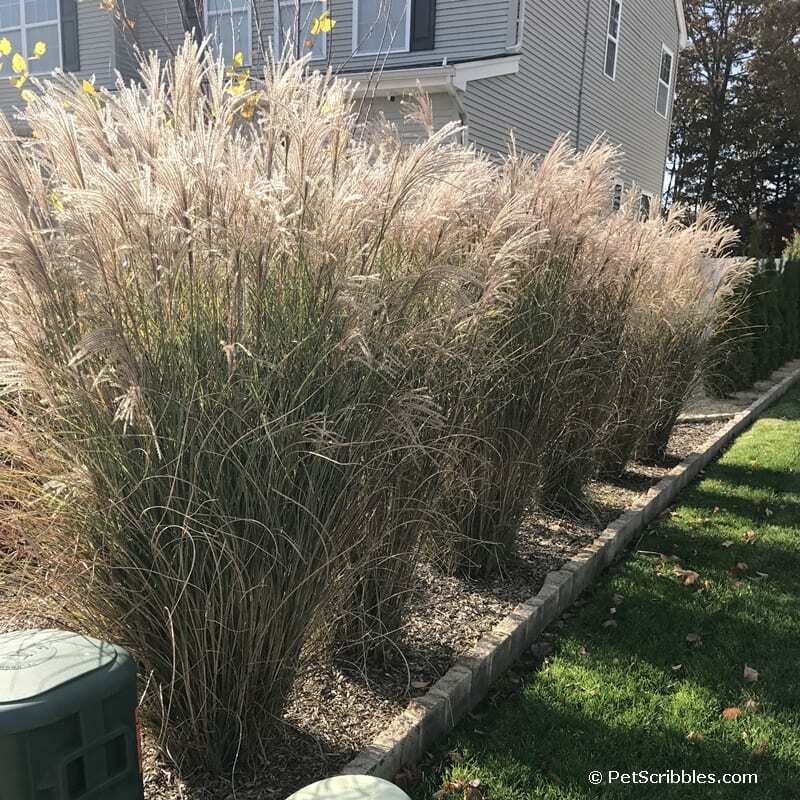 If I had these grasses in a contained area, I’d definitely leave them as is for Winter interest. I do trim our medium and smaller ornamental grasses in the Spring. As I mentioned above, I love how they add Winter interest to the landscape. 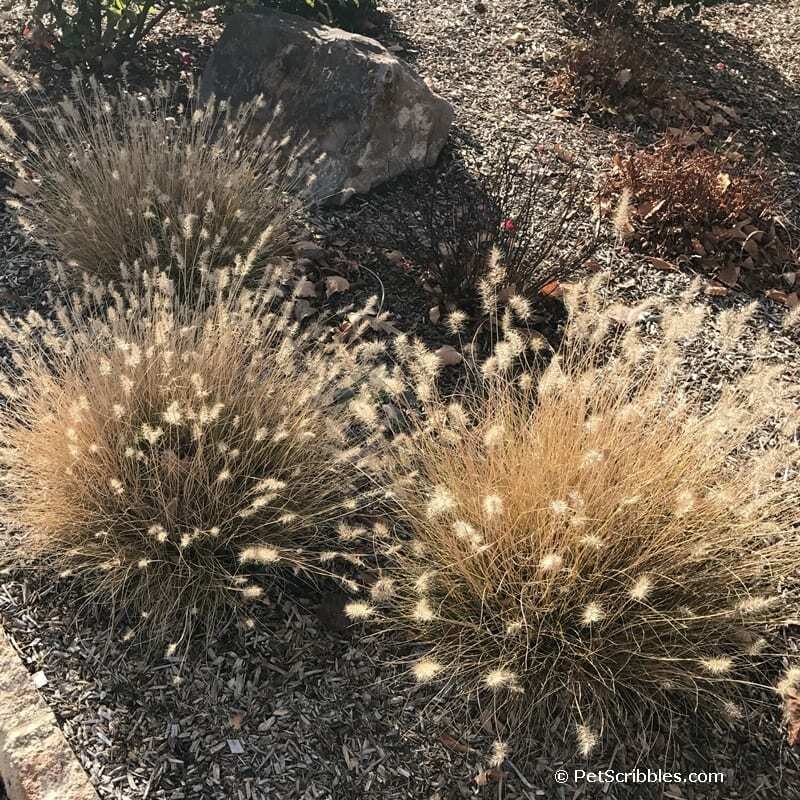 You can read how I prune our ornamental grasses here. Here is the other ornamental Japanese Maple tree that flanks our front entrance. 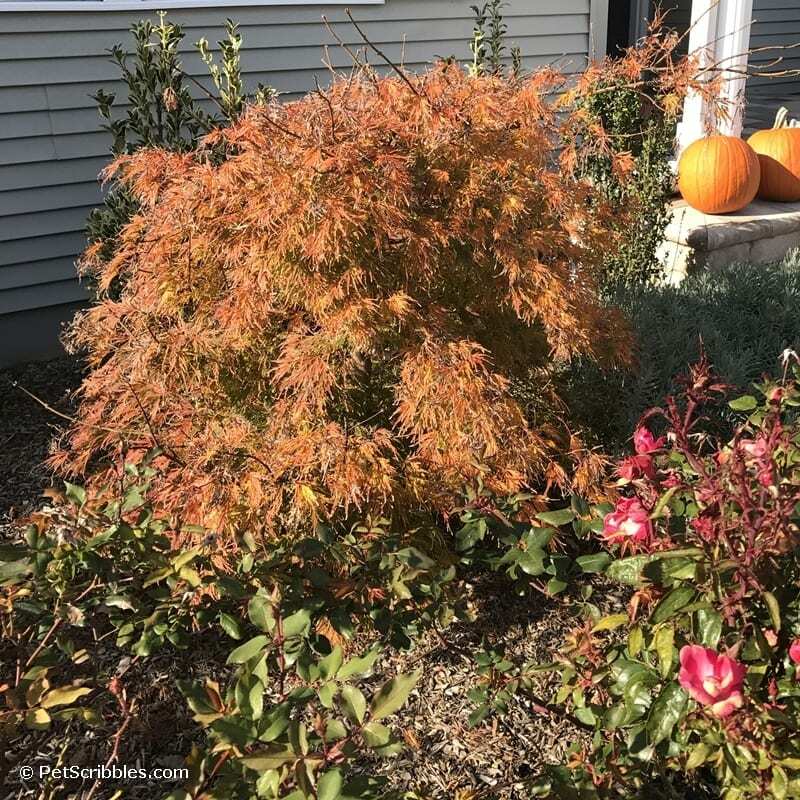 The landscaper insisted that the large mop-head hydrangeas (in the top-left of the photo) would not be in the way of the Japanese Maple as they grew. Not sure if I’m happy to say that I was right: they are way too big and crowded and we will have to move the hydrangeas next Spring. We planted Lavender on each side of our front entrance. The fragrance is intoxicating in the Summer! You can read how I harvested the Lavender flowers this year here. 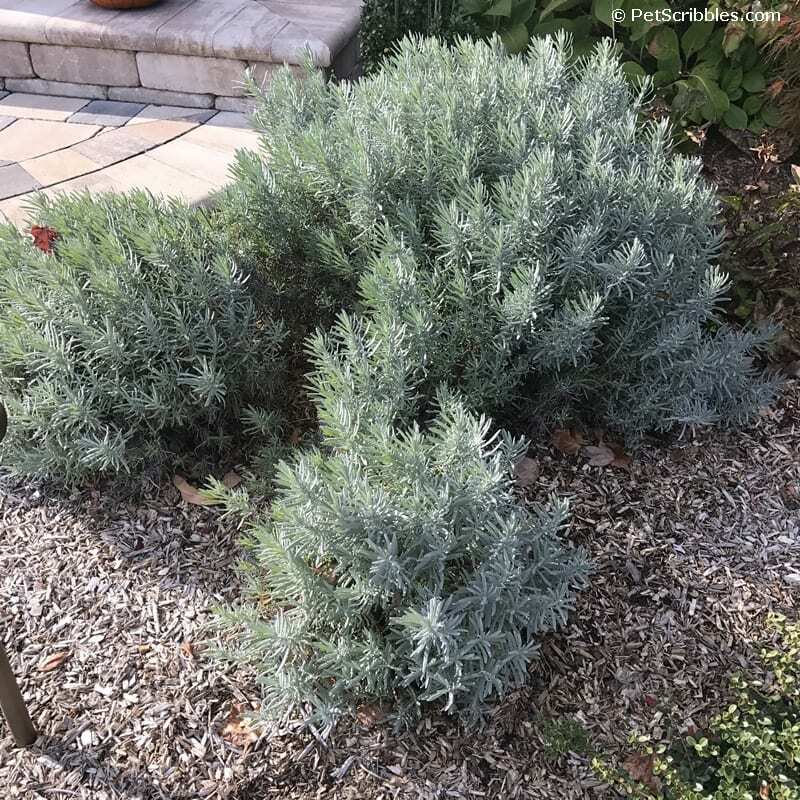 Once the Lavender flower stalks are removed, the shrubs take on a neat and tidy look and remain that way through the Winter. The blue-green color is striking on an overcast Wintry day! And if you look closely, you’ll see some red berries too! Our garden beds — because of the clay soil in our area — tend to hold lots of water, especially after a good rainstorm. 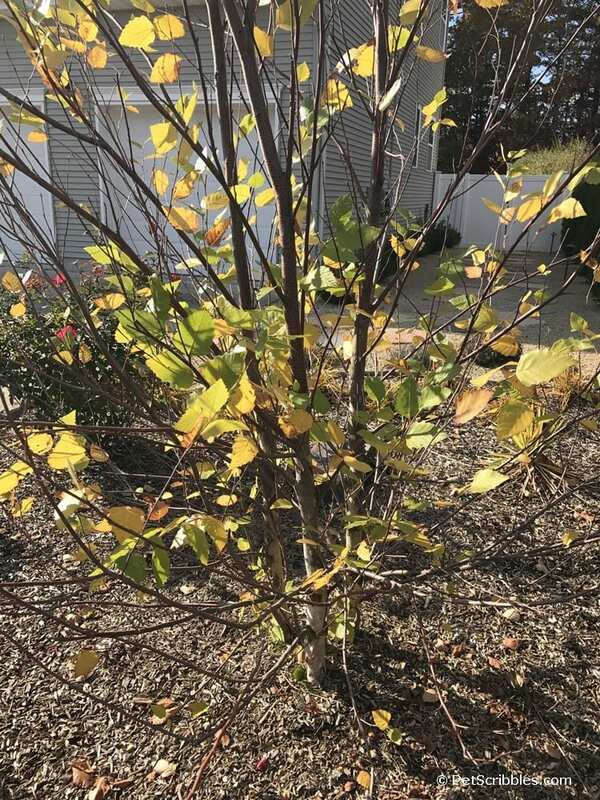 River Birch trees to the rescue! 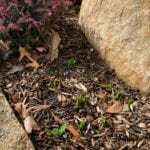 We have two planted on each of our garden beds that flank the large center bed in front. They are dependable trees with gorgeous bark, and their yellow Fall leaves just glow! 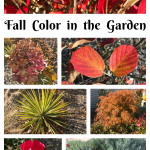 And those are the main highlights of Fall color in our front garden beds! I hope my little tour will inspire you to continue your own gardens into the Fall season. I love Fall gardening! Not only do you get to enjoy an ever-changing color show, but you can be outside without any humidity or nasty bugs…at least here in the Northeast part of the country! 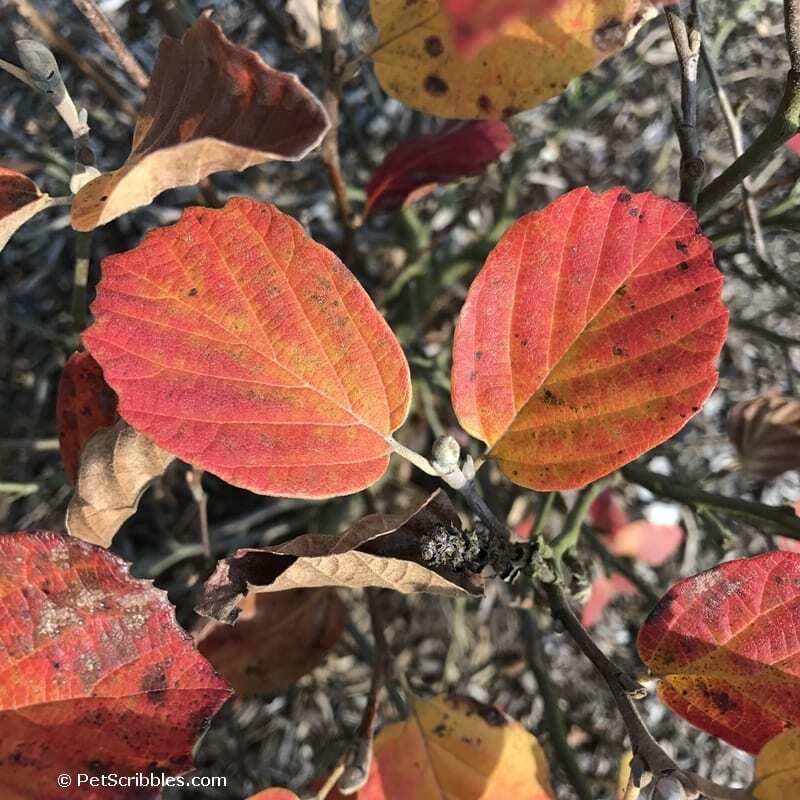 Six Tips for Brilliant Fall Color! 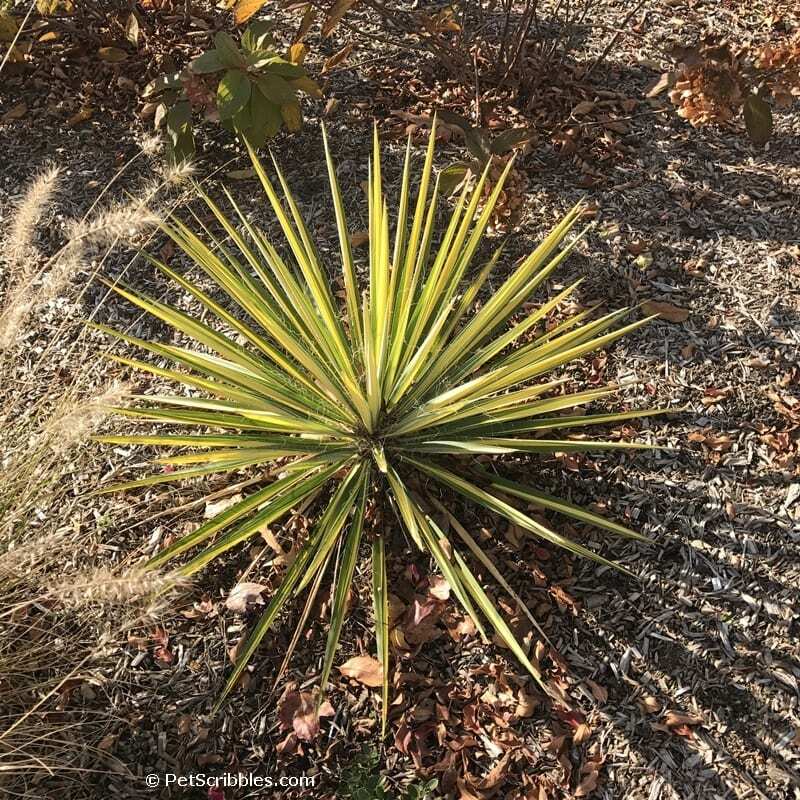 In Part One of this two-part post, I share six tips to keep in mind when shopping for plants, whether you’re adding to an existing garden bed or planning a new garden from scratch. 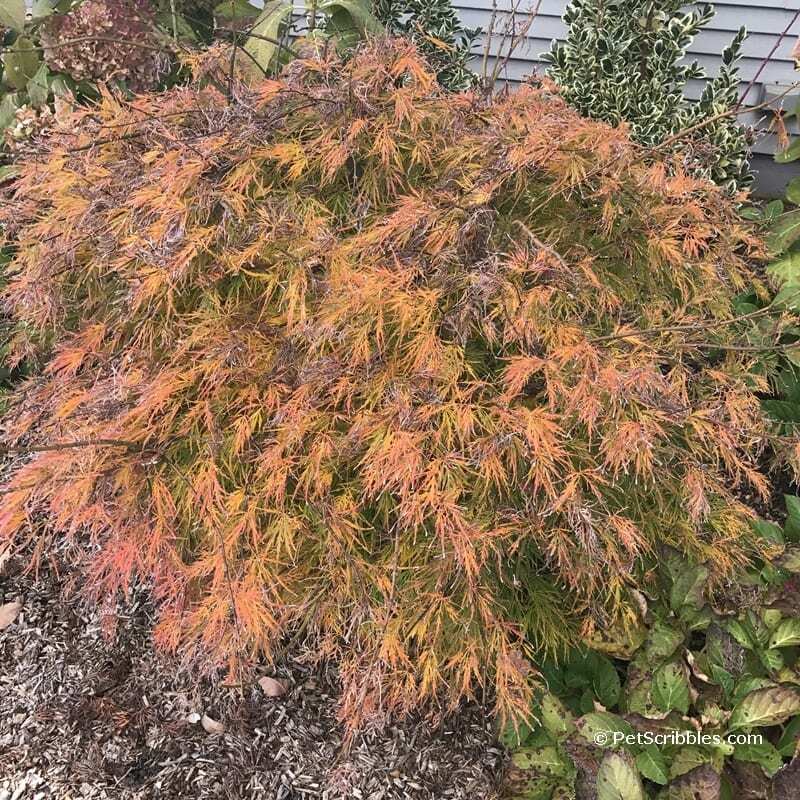 I talk about the importance of textures, evergreen colors, not pruning, and so much more to help you achieve brilliant Fall color in the garden.